. Published on Thursday, March 23, 2017 . 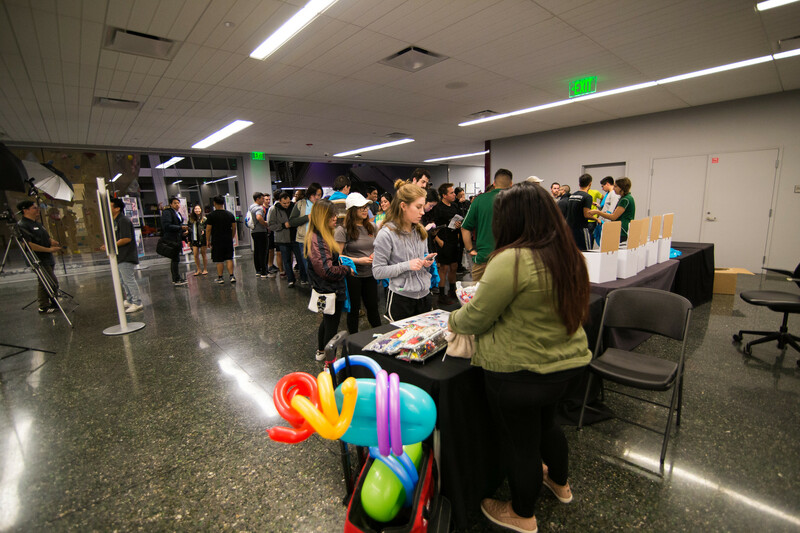 Anyone who came into the Bronco Recreation and Intramural Complex (BRIC) on March 3 at 7 p.m. was instantly met with the sight of the BRIC’s Bronco Peak illuminated with neon tape and purple lights. The rock wall was festively decorated to celebrate Rec Fest, an event for students to demo the different types of activities ASI Campus Recreation has to offer at the BRIC (Bldg. 42). 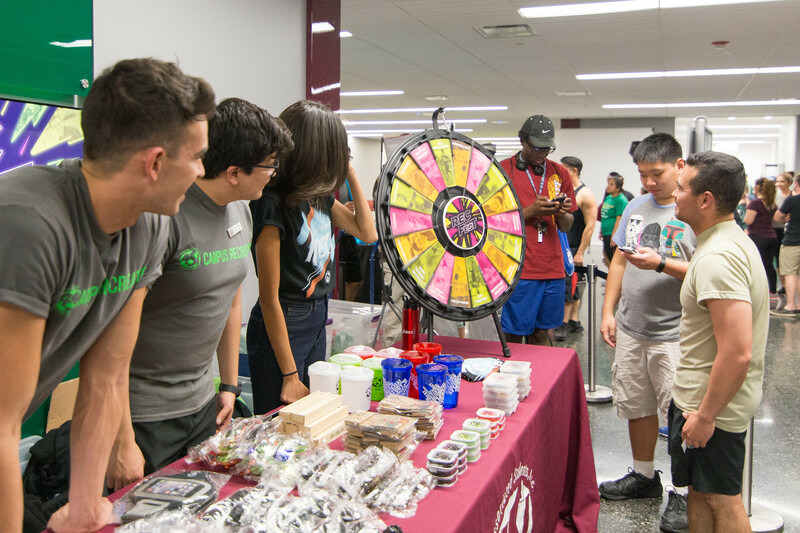 All programmatic areas of Campus Rec, including Adventures, Intramural Sports (IM Sports), Fitness, Sport Clubs and Aquatics, had activities setup around the building for students to experience. The Adventures program had the BRIC’s Bronco Peak decorated in bright neon tape for glow climbing. Certified climbers could boulder to their heart’s content while newcomers were welcome to take up the challenge and climb to the top of the climbing wall. The Fitness program had a medley of events taking place in the workout studios! 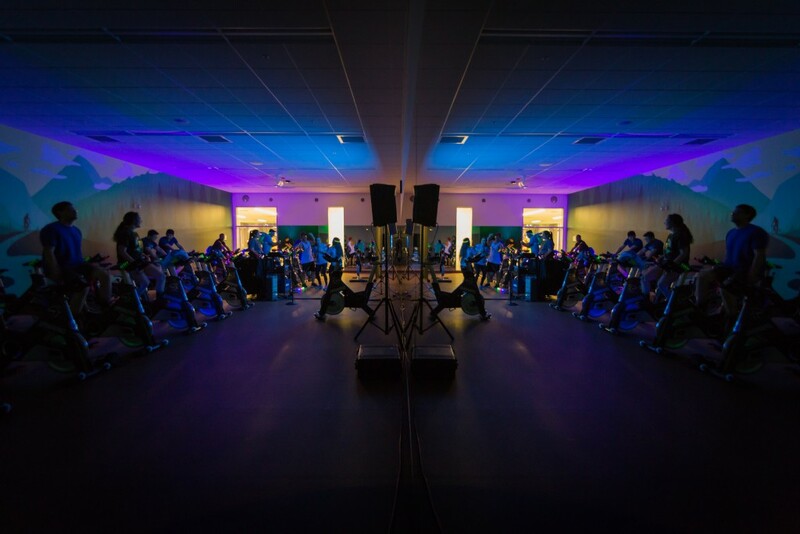 Event-goers could participate in sing-and-spin glow ride and have some fitness fun at a boot camp party! Looking for a place to learn some new stretches? No worries, students could head up to the second floor of the BRIC and learn new yoga poses. The second floor was also a good place to try out different sports with help from the IM Sports program. 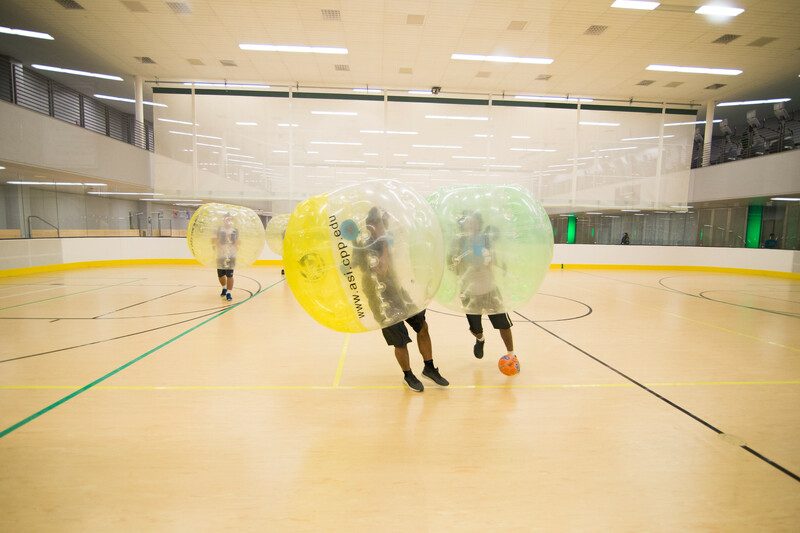 Sports offered ranged from dodgeball to bubble soccer! Broncos looking for a cooler activity could head to the BRIC pool and hang out with the Aquatics program. 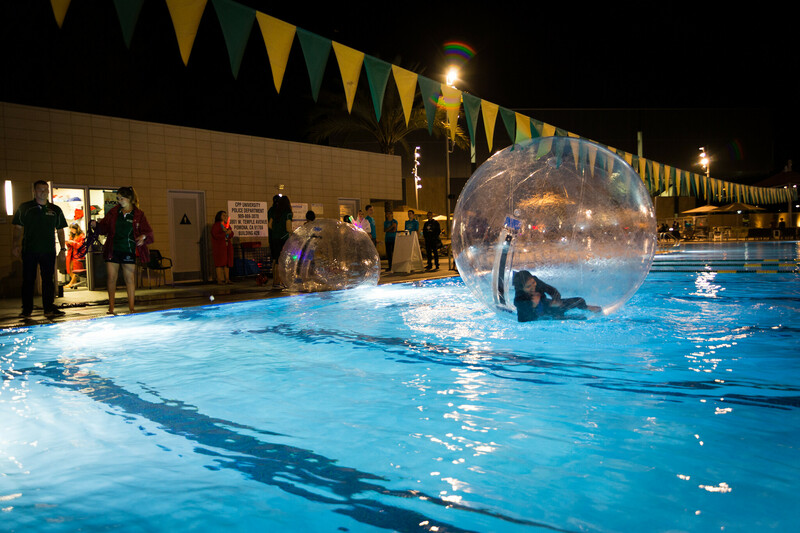 Aquatics had multiple pool activities, a DJ to set the mood and the always exciting, and tiring, hamster ball in the pool. ASI Campus Rec Facebook, Twitter and Instagram followers could also Spin-to-Win with ASI to win prizes such as tumblers, headphones and more! 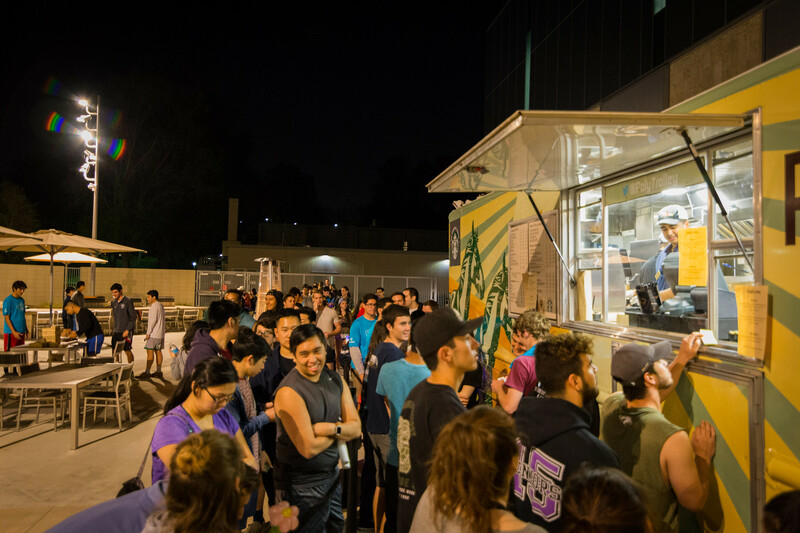 For more updates on events like Rec Fest, follow Campus Rec on Facebook, Twitter and Instagram. For even more event updates make sure to follow Associated Students Inc. (ASI) on Facebook, Twitter, Instagram and Snapchat @ASICPP!